The referees keep their eyes on the handball players’ feet. They look for violations of the rules. For example, the ball must not touch below the player’s knee and certainly, kicking is not permitted. Players are restricted to three steps while holding the ball. If they exceed that limit, the referees card them. Handball players organize their movements to receive the ball on the left foot in front move. Then on their final of three steps, they have optimal take-off energy to pass or take a shot on goal. It is a “left, right, left” or “fake, drive, jump” pattern. Watchful offside betters focus on the goalkeepers. This is a high-scoring game, for example: 28 to 23, 38 to 33, and 35 to 32. With all the fast-moving offensive action, goalkeepers are on their toes for the entire game. They are busy but not bustling. Their moves are slow compared to their team mates. But when the ball arrives it is a good bet that they spring into action. The goalkeeper takes a deep side step with his whole leg and same side hand movement. Body weight transfers to that leg and its foot is ‘open’; the inside of the foot is ready to stop the ball. Sliding on the heel of the leg closest to the approaching shot on goal, the goalkeeper extends one or both hands towards the foot of that leg. As a child, Christina Stephens filled her parents’ basement with Lego castles and pirate ships. When she put her Lego-building skills to work last month making a prosthetic leg out of the children’s toy, she became an Internet sensation. Stephens, 31, lost her left foot in an accident this winter and decided to combine her clinical expertise as an occupational therapist with her own experience of losing a limb to help others dealing with amputations. Stephens began a series of YouTube videos and a Facebook page under the name “AmputeeOT,” in which she addresses issues that many new amputees struggle with. Among them are how to swim with and without a prosthetic, deal with phantom limb pain, and clean an amputation site and prosthetic liner. But it was her construction of a prosthetic leg out of hundreds of Lego pieces that made her an Internet star. The YouTube video has more than 1.3 million views since it was posted in early July. Stephens plans more videos, and she has a second Lego leg — “Lego Leg 2.0,” she called it. This one has moveable pieces — but it’s still for show only. “Part of what I want to do with my videos is de-stigmatize amputation and make it less scary,” Stephens said. A 2009 Cambodian beauty pageant for disabled women was full of land mines from start to finish. Testing taboos, a Norwegian theater director wanted to draw attention to survivors in a war zone. Twenty women scarred by decades of war were to parade their amputated bodies for the chance at a new prosthetic limb. The organizer had the support of the government’s mine action agency. Days before the debut of a photo exhibit, a lead-up to the live pageant, there was much indignation and all support collapsed. The cancelled pageant provoked controversy even in its aftermath. 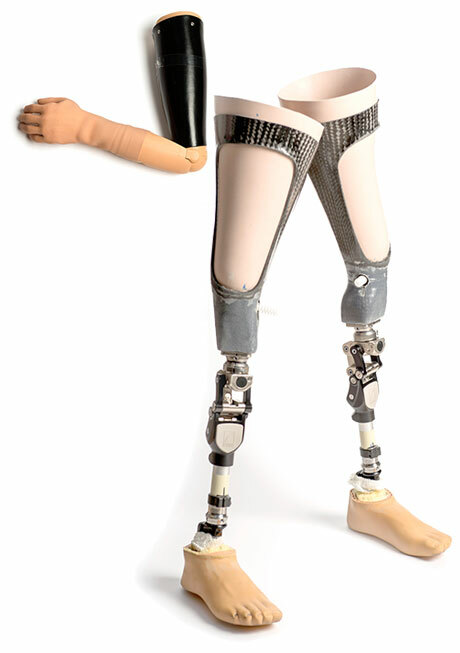 In 2011, Sophie de Oliveira Barata started the Alternative Limb Project and soon found interested clients. She created one leg with a stereo embedded in it, another with removable muscles and a third, among others, that housed minidrawers. Recently she began collaborating with artists skilled in animatronics, 3-D printing, metalwork and carbon fiber. Toronto’s Sunnybrook Centre for Independent Living (SCIL) has a 25-member team of prosthetists, technicians and other experts. SCIL helps complex trauma patients regain independence and mobility with customized prostheses and individualized rehabilitation. Prostheses are made in the on-site lab. The first step in creating a new limb is to make a socket in the stump or residuum. The artificial body part attaches inside the socket. The prosthetist takes detailed measurements of the residuum and then creates a cast of it – similar to that for a broken limb. When that cast dries, plaster is poured into it to make a form of the limb. The form is then carefully smoothed down and filed until it becomes an exact replica of the residuum. The amputee is fitted with a test socket and a limb and learns to walk with this set before the definitive socket and limb are finalized. Patients often develop a strong, lifelong bond with their prosthetist. The more the experts get to know the amputees, the better they are able to create sockets that work for their lifestyle. 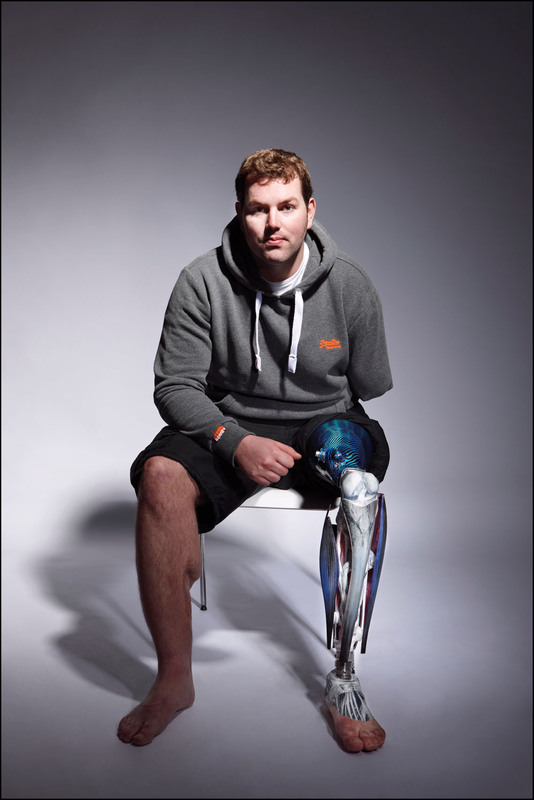 Getting the artificial limb for the first time can be a life-changing experience.